Putting together Mother’s Day bags for women in Massachusetts shelters. Pictured are Julie Rubenstein, Sandi Jacobs and Sharon Ingala. You are invited to view a film, Escalation, which opens parents’ eyes to the warning signs of relationship abuse. Every year 1.5 million high school students nationwide experience physical abuse from a dating partner. And 3 out of 4 parents have never talked to their children about dating violence. This film follows a college aged couple through the very sweet beginnings of their relationship and shows how unhealthy behaviors can escalate into abuse. The workshop consists of the film followed by a guided discussion led by a trained facilitator from One Love. After watching the film, workshop participants dive into a discussion about the film discussing the early warning signs of relationship abuse and what they can do if they witness or experience these warning signs. 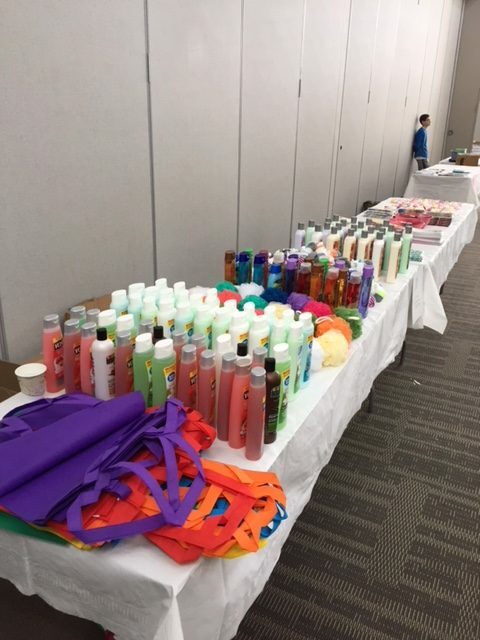 The Clothesline Project (CLP) was a program started on Cape Cod in 1990 to address the issue of violence against women. It began as a way for women affected by violence to express their emotions on a shirt which was then hung on a clothesline to be viewed by others. With the support of many, it has since spread world-wide. 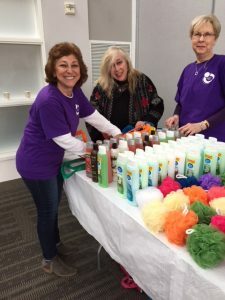 The Clothesline Project helps with the healing process for people who have lost loved ones, and educates and raises society’s awareness of the extent of intimate partner violence. I’ve fooled them all –or have I? But I will not stand in silence anymore! All of their stories are cold realities. The Silent Witness Exhibit is a nationwide traveling exhibit of free-standing, life-size red wooden silhouettes. Each witness represents a woman, child or man who was murdered in Massachusetts due to acts of intimate partner violence in this year. All witnesses have the name and the story of the person on its breast shield. Because these individuals no longer have a voice, the silhouettes are called Silent Witnesses. The Silent Witnesses are a visual and compelling way to touch people on a personal level. One in four women will be affected by DV in their lifetime. 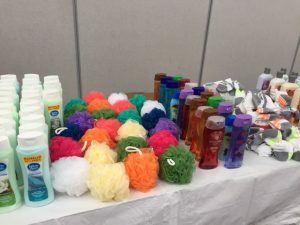 By raising awareness of this issue the exhibit is a pro-active method to attempt to alert people to the fact that domestic violence does not discriminate. It is an issue that affects everyone- even those in upscale communities. 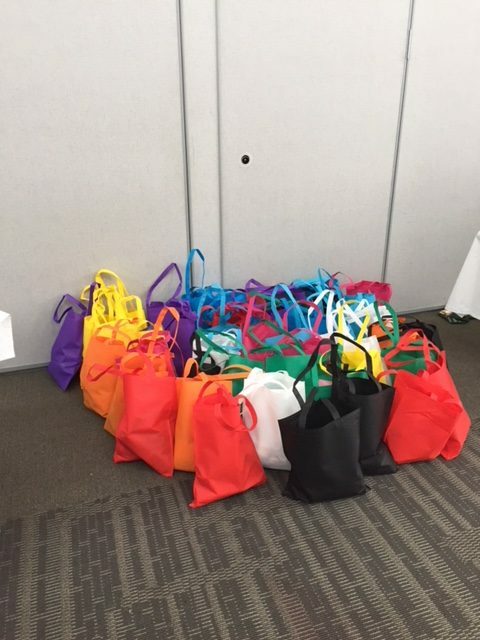 Pamella D’Arcy, a nurse at Harvard Pilgrim Healthcare wrote a mini grant to help support H.U.G.S.Sharon. 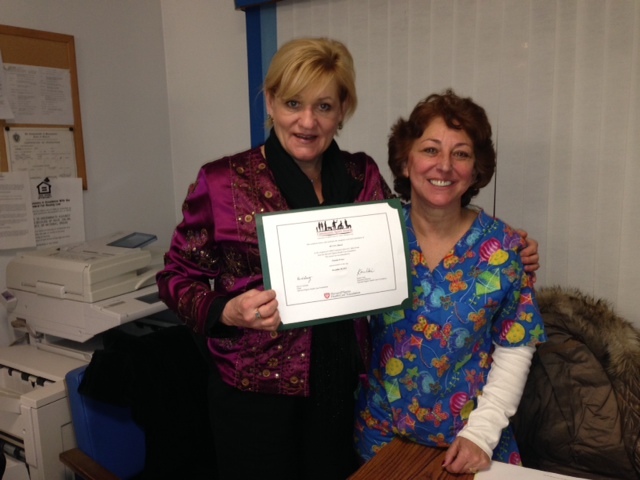 Sheis pictured here with Julie Rubinstein, President of H.U.G.S.Sharon, presenting a check to us. Thank you Pamella! 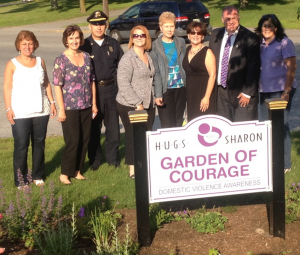 In June, we planted a Garden of Courage at the Sharon Police Dept. to inspire and remind people driving by that we can provide assistance for people in a domestic abuse situation. 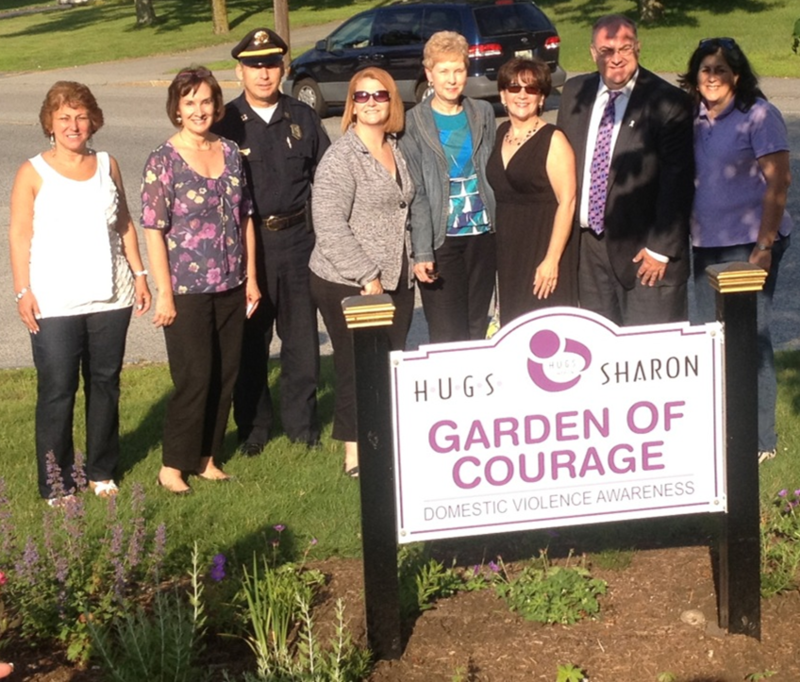 H.U.G.S.Sharon is a small nonprofit organization created to help make our community safer. Over the past ten years, some of our accomplishments include the following: we have sponsored plays in the schools that teach about healthy relationships and the consequences of sexting and cyberbullying ,have provided programming in the community on topics such as intimate partner violence, and bullying,have paid for lock changes, and hotel stays for members of the community in need, have donated a washer and dryer to the Norfolk Advocate for Children, and recently created and planted a Garden of Courage at the police department. H.U.G.S. Sharon which has worked with several JDI member programs including New Hope, DOVE, Family & Community Resources and Health Imperatives.